The death of Robin Williams is one of those sad moments that brings back many memories. 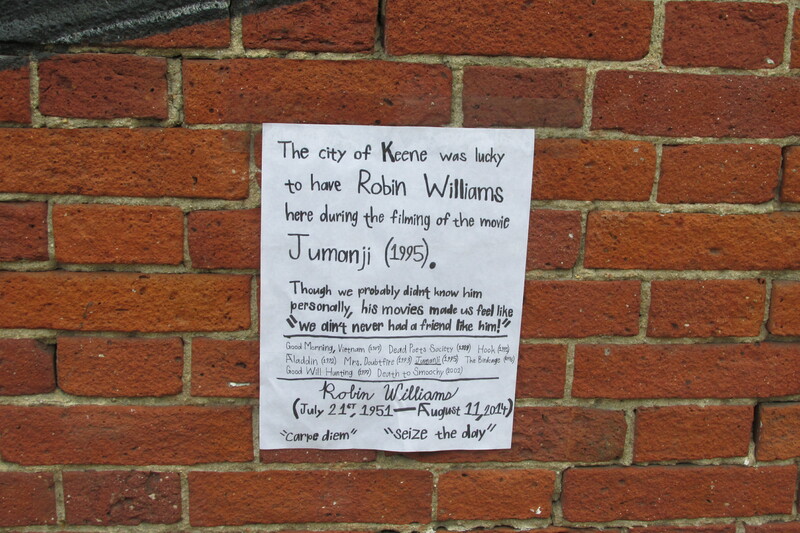 Robin Williams endeared himself to the people of Keene NH when parts of the movie Jumanji was filmed here. The filming crew came twice, once in summer and once in winter. When you see those elephants stomping down the town, that’s Keene NH they are stomping. Locals were picked to play extras, and everyone talked about how kind and nice Robin Williams was to everyone. If he saw someone in a wheelchair watching the filming, he would make sure during a break to go over and chat with that person. The wait staff of Keene was in love with him, as he always treated them to jokes and made them feel is was his pleasure to be their customer. 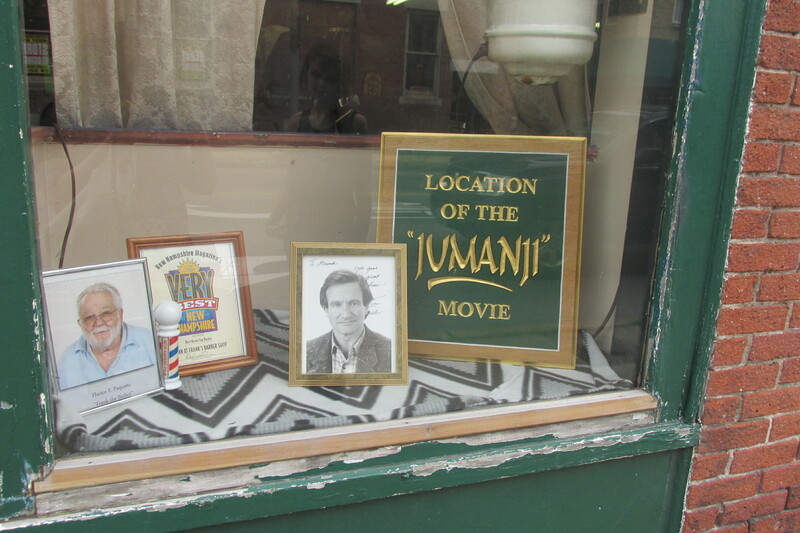 Whenever anyone has asked about where I live, near Keene NH, I tell them to see Jumanji. That’s my town! The local barber Frank had a photograph of Robin Williams in his shop window for years, and also a plaque indicating his shop was part of the movie. Frank has been dead for a few years, and now Robin Williams is also gone. So we found an elephant and bought some flowers. 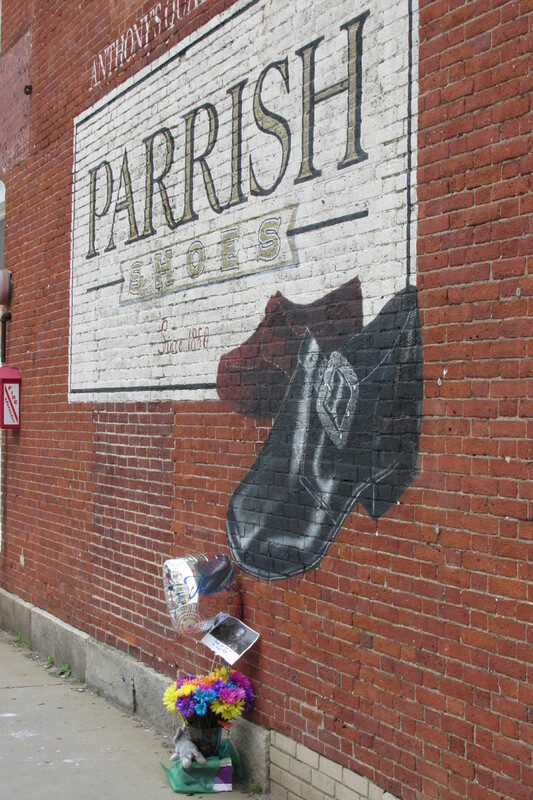 We put them up near the Parrish Shoe sign. It was delightful for us to sit on a nearby bench and eat lunch, while watching people stop to look. 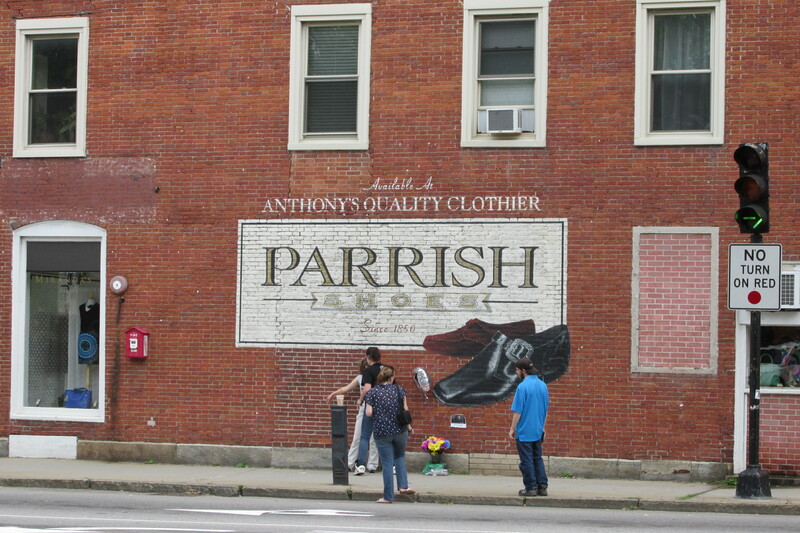 We could hear people begin to talk “Oh yes, you didn’t know he filmed a movie here?” People would talk about how friendly and nice he was, and how they themselves or a friend had been an extra. 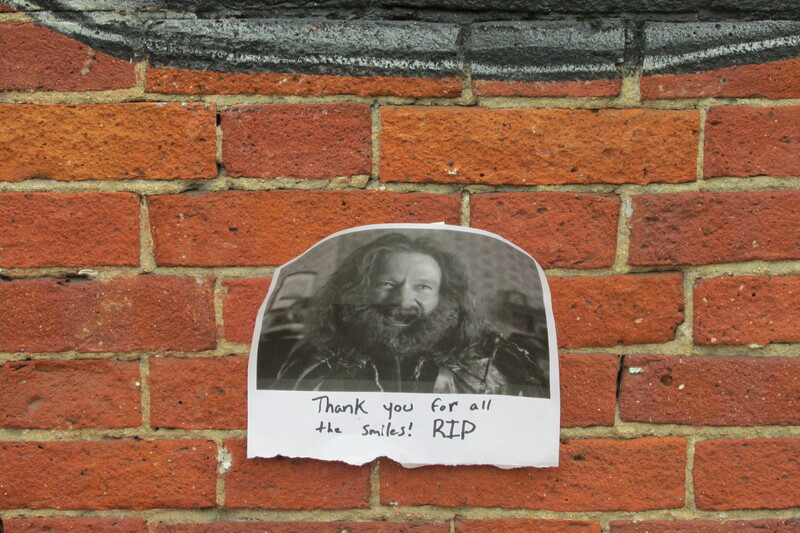 People began to talk about their favorite Robin Williams movies. 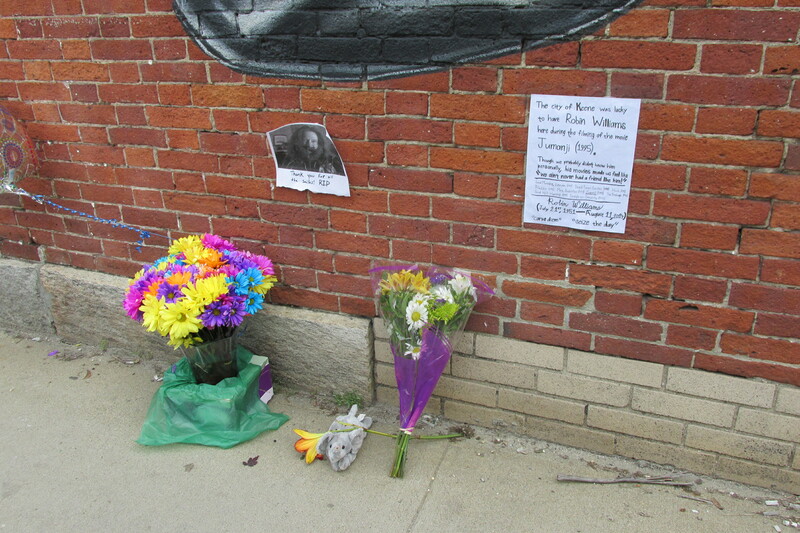 It was nice that Keene was remembering Robin Williams, a very talented man we shall never forget. ‹ Rural 911, may just be YOU. How to be prepared.